Ohhhhhhhhhh these are gorgeous! LOVING the colors!!!! Oh, Tracey! They turned out just beautiful! I just cannot get my Oxides to do that thing you do … well done, my friend! wow these are totally gorgeous.. awesome designing... Happy Weekend! 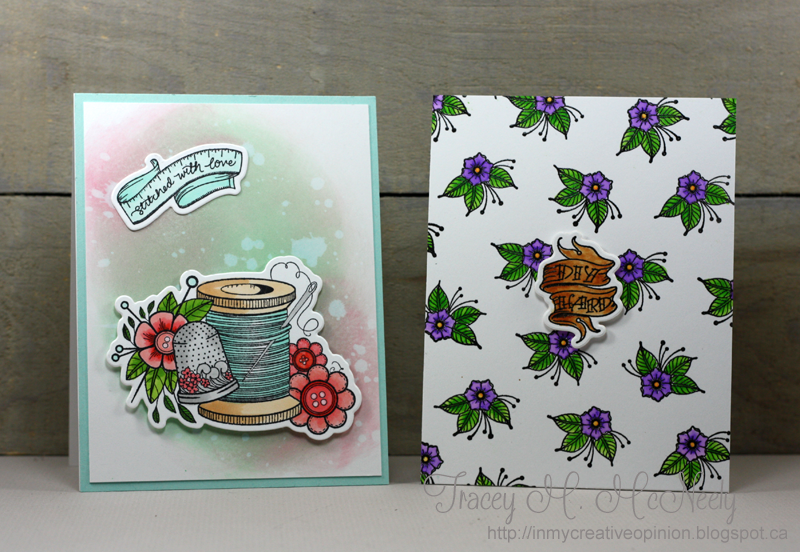 Two simply sweet cards....just love your adorable sewing card, so beautiful! These are stunning!! I love the softness of the first card with that background. I like the repeat stamping on the second card. Lovely design. Beautiful cards Tracey. I love that soft background you created for your first card. Gorgeous colors on both of these Tracey, beautiful work!! Oh wow, Tracey two fantastic cards. 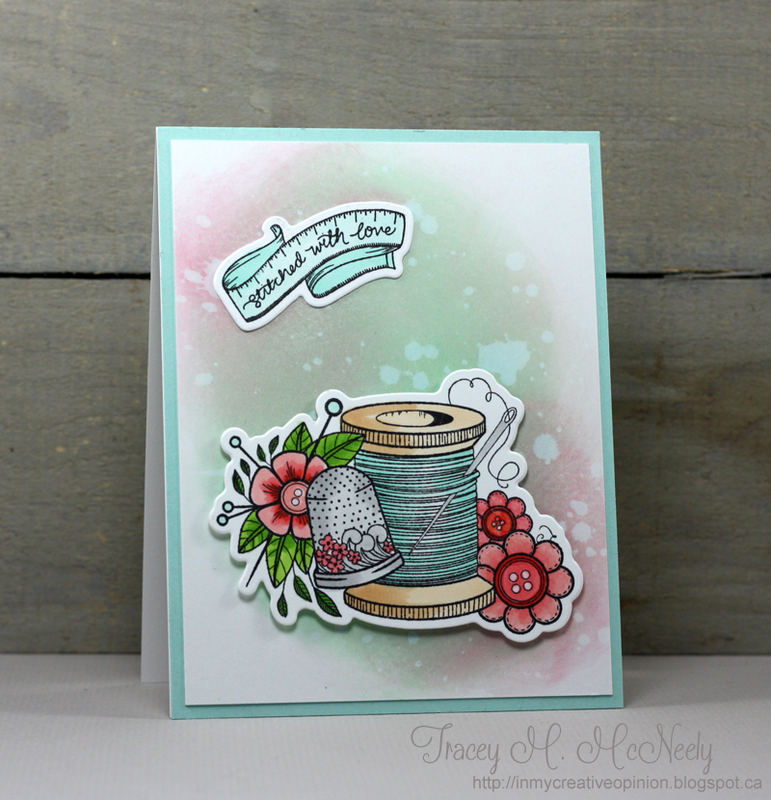 I absolutely love the background of the first card and the little purple flowers make such a pretty background.